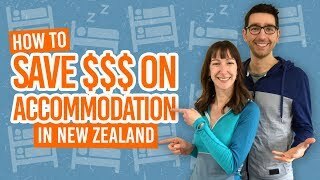 Where to stay in abel Tasman National Park? Pristine golden sand beaches backed with lush native forest, why would you not want to explore the Abel Tasman National Park. Whether you are taking on the Abel Tasman Coastal Track or kayaking its shores, save some money by staying in one of the backpacker hostels in Abel Tasman National Park. The nearest towns to Abel Tasman National Park are Marahau, Kaiteriteri and Motueka. All of these locations have activity providers that can transport you into the national park by water taxi. Find out more about these locations in Abel Tasman National Park – Guide for Backpackers. These backpacker hostels in Abel Tasman National Park are located on the southern end of the national park. To access the northern end, you will need to be in Golden Bay. Find out where to stay with our 5 Best Backpackers Hostels in Golden Bay. So here are, what we consider, the best backpacker hostels in Abel Tasman National Park! Whether you’re staying in a backpacker dorm or camping, there’s accommodation to suit every budget traveller at The Barn. There’s plenty of space too with multiple kitchen area and communal spaces. The Barn looks right over the coast, even with some showers having coastal views. Plus, by being in Marahau, The Barn is situated at one end of the Abel Tasman Coastal Track. This Victorian homestead will make you feel more like a flashpacker than a backpacker. White Elephant Backpackers is in Motueka, a great base for the Abel Tasman National Park where activity providers can pick you up from. There’s an inside and outside kitchen area complete with barbecue and pizza oven, ideal for those sunny days in the huge garden. The largest town close to Abel Tasman National Park is Kaiteriteri with plenty of shops, services and things going on. Kaiteri Lodge is in short walking distance from all of this, plus the beach where most Abel Tasman activities operate from. As well as kitchen facilities, Kaiteri Lodge has its own on-site restaurant and bar open November to April and May to October. Ideally located in Motueka within a short walking distance from shops and services, YHA Motueka is a great option when staying near the Abel Tasman National Park. Plenty of activity operators do pick-ups from the town. The hostel is split between three different houses with a capacity of 40 guests, meaning that it never feels overcrowded. To top it all off, YHA Motueka offers free Wi-Fi and spa pool. YHA members benefit from a discount. Find out more in BBH, YHA, BASE or NOMADS: What is the Best Hostel Network? Just a short drive (or bike ride using the free hostel bikes) from Marahau, Kanuka Ridge Backpackers is one of the closest hostels to the Abel Tasman National Park. What’s more, they offer free pick up/drop off to the national park entrance. Kanuka Ridge Backpackers gets its name by being nestled in kanuka trees, perfect for those looking for a peaceful accommodation. The hostel is small with a maximum of 20 guests. One of our 13 Most Unique Backpacker Hostels in New Zealand, Aquapackers gives you the opportunity to stay right in the middle of Abel Tasman National Park. Not only that, but did we mention it’s a backpackers on a boat?! Your stay on Aquapackers includes a barbecue dinner and breakfast. Get to the Aquapackers at Anchorage by booking and simply wave down your hosts!